Earth without art is eh. Happy member of Capital Metro's Community Involvement team. April 21-27, 2013 is National Volunteer Week. 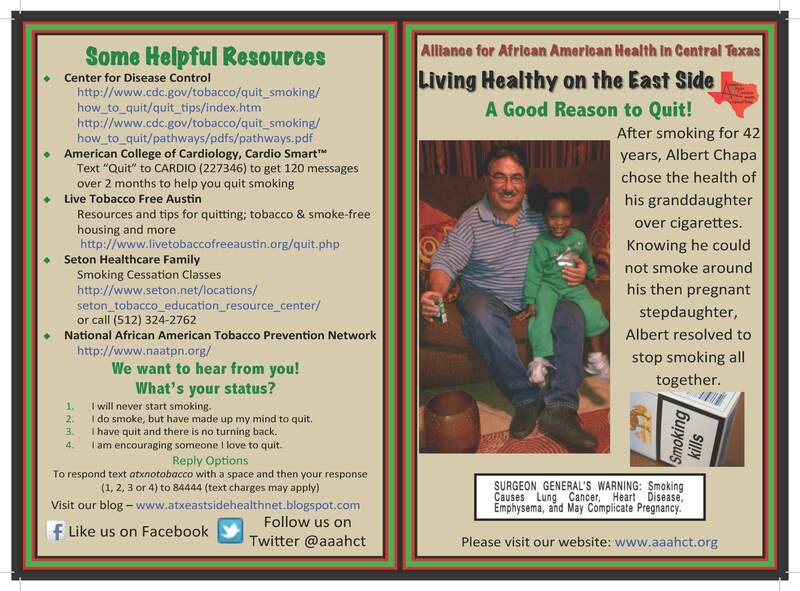 As a part of their “Living Healthy on the Eastside” campaign, volunteer members of the Alliance for African American Health in Central Texas (AAAHCT) are on a mission to help Austinites stop smoking. This week they’ll be hitting the streets, along with our MetroAmbassadors, walking and talking with riders at Capital Metro bus stops in East Austin and handing out free smoking cessation information brochures. I will never start smoking. I do smoke, but have made up my mind to quit. I have quit and there is no turning back. I am encouraging someone I love to quit. To respond TEXT atxnotobacco with a space and then your response (1, 2, 3 or 4) to 84444 (text charges may apply). For example, if you’ve never smoked, text the phrase “atxnotobacco 1” as your message to the number 84444. Did you know that all Capital Metro facilities, bus stops, stations and properties are 100% smoke free? The passenger boarding areas of Capital Metro transit centers, train stations and Park & Rides are tobacco-free. Please observe the signs that designate these areas as tobacco-free. In addition, Capital Metro proactively discourages tobacco use within 15 feet of every bus stop for the health and safety of all riders waiting for the bus. Kindly do not use tobacco within 15 feet of your bus stop. Capital Metro enacted tobacco-free policies at its facilities because it believes that ensuring a healthy work and traveling environment is key to providing quality, state-of-the-art transit services. 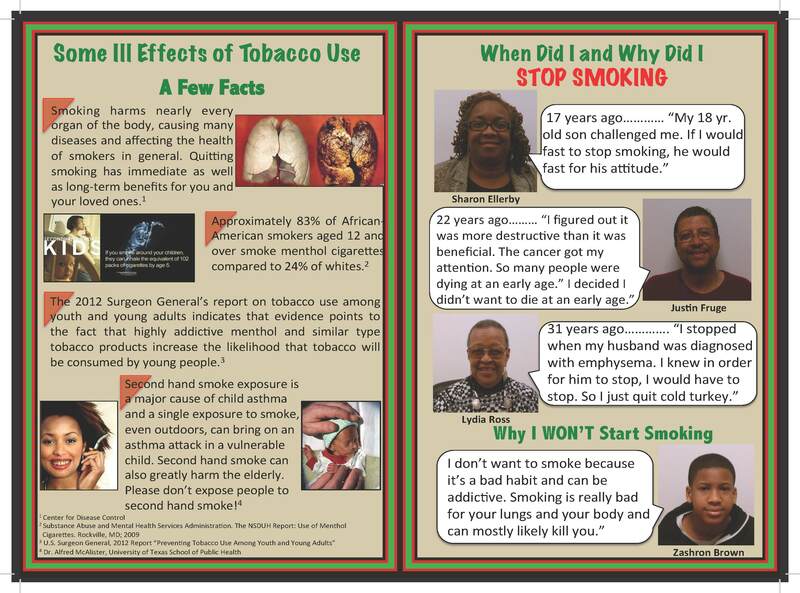 For more information on Capital Metro’s tobacco polices (including FAQs and free smoking cessation resources) visit our website at http://www.capmetro.org/rules/. Public transportation plays a significant role in finding solutions to the numerous challenges facing America today. Whether it’s more jobs, a cleaner environment, energy independence or a better quality of life; Public Transportation Takes Us There! The American Public Transportation Association (APTA) is seeking a diverse group of students from across the country to participate in the 2013 APTA Youth Summit to Advance Public Transportation being held in Washington, DC, June 23 – 27. Students will explore the environmental benefits of public transportation; how communities as a whole can prosper with increased services; the role local and federal policies play in public transit usage; and career opportunities in the transit industry. If you will be a high school junior or senior in the Fall of 2013, please submit an application today and join your peers from across America as they come together in Washington, D.C.
Visit the APTA website for an application. Completed applications should be emailed to: students@apta.com or faxed to 202-496-4323. For more information, please contact: Program Manager – Educational Services, APTA, Cheryl Pyatt at 202-496-4875 or cpyatt@apta.com. *All expenses paid by APTA.